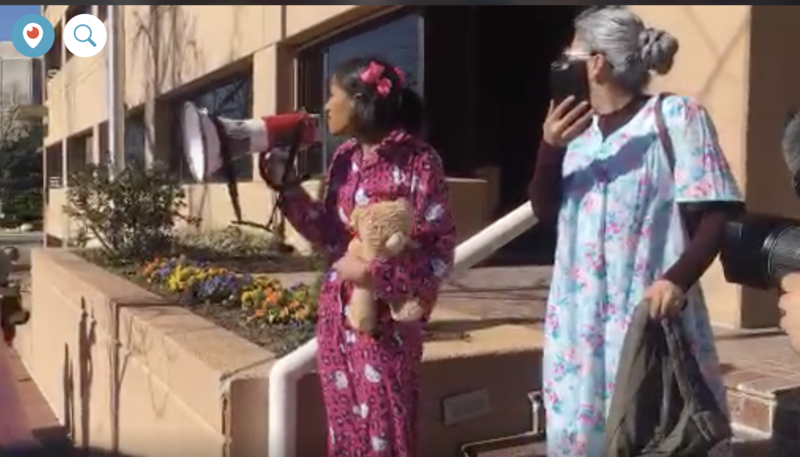 Some activists dressed in white wigs and held canes signifying that it has been 17 years for any national Democrats to act on DREAMer legislation. DACA recipients and allies dressed up with white wigs, canes, and walkers, staged a sit-in blocking the entrance to the DNC Headquarters to dramatize the 17-year-long wait for Congress to pass the DREAM Act. Video showed the protesters and circling the entrance to the DNC on Capitol Hill and staging a sit-in in front of the main doors of the building.